The Bioassay is a UV reactor validation test that is performed in two stages. The first stage is carried out in a laboratory and consists of establishing a micro-organism response to various UV doses. This micro-organism is exposed to UV radiation for a given period of time using a collimator that generates a precise UVC irradiance (figure 34). The type of target micro-organism is selected on the basis of linearity criteria, resistance to UV, storage and reproducibility. 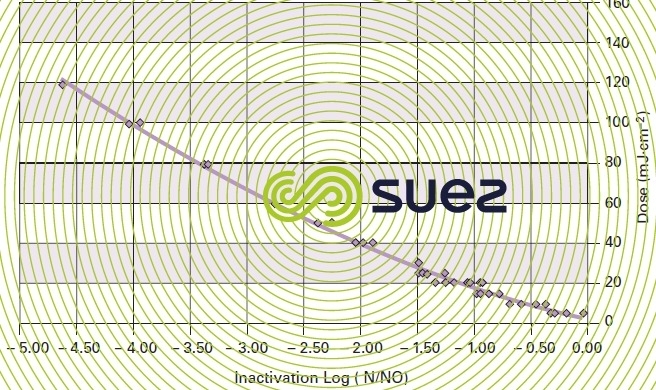 Figure 33 shows a typical dose response curve obtained from collimated beam test. The second stage of the Bioassay is carried out on site. 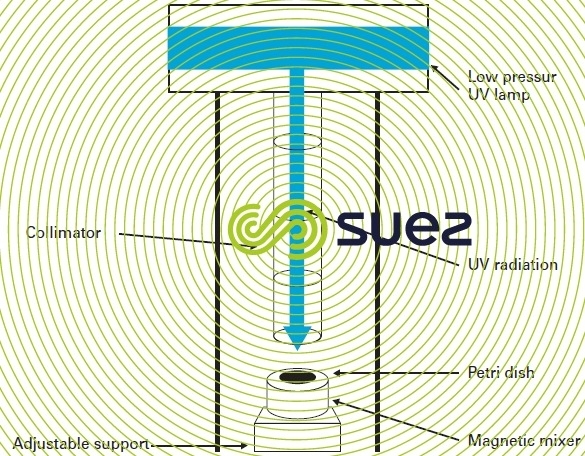 It consists of measuring the effectiveness of a disinfection system for different flow rates, using the same target micro-organism as that inactivated with the collimator. The measurement of the field inactivation obtained (inactivation log) together with the collimated beam test results are used to establish the actual doses delivered by the disinfection system. Figure 35 illustrates an example of these results. 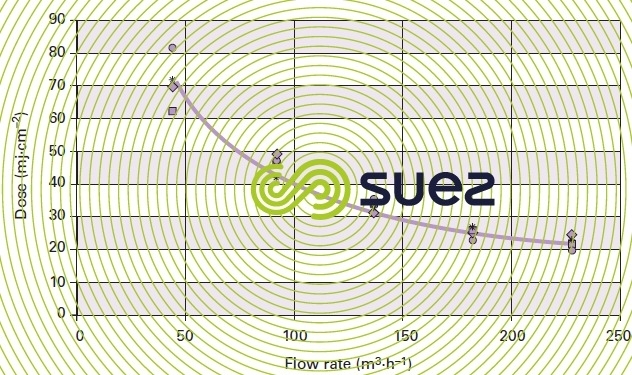 The curve obtained can be used to calculate the number of reactors or modules that are required, to achieve a design dose knowing the design flow.